Japan’s hot again. Mighty hot. And so the spectacular airfare promotions that were abound right after the 2011 Tohoku earthquake are almost non-existent for this coming year-end. Our flight from Singapore to Osaka’s Kansai this end-November would have cost us S$2,046 for two, if wasn’t for my Krisflyer points. With 38,000 points, accumulated from both business and leisure trips made so far this year – on Singapore Airlines, SilkAir and Star Alliance partners no less, I succeeded in shaving our airfare down to S$1,668. Hurray! Isn’t it great to be loyal? 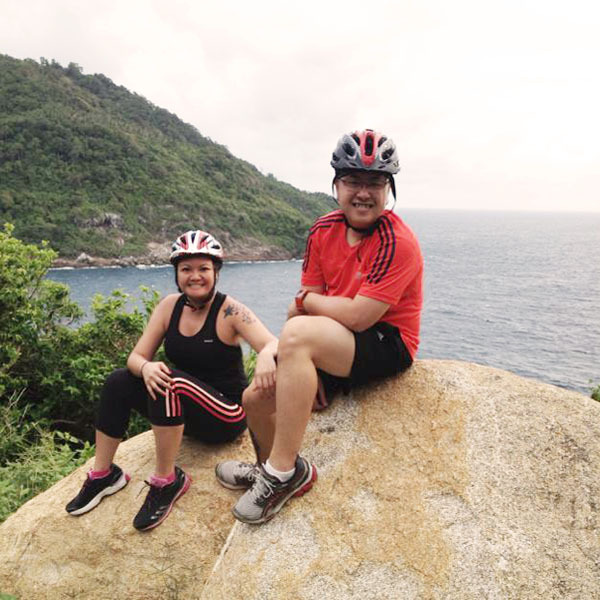 During the recent long weekend in Singapore, thanks to Hari Raya falling just before National Day and the weekend, the husband and I grabbed the chance to escape for a four-day break in Koh Racha Yai, an island off the southern coast of Phuket. There are a handful of resorts and chalets on Koh Racha Yai, and we booked our stay at The Racha, a member property of Small Luxury Hotels of the World. With such a short vacation, we cannot afford to lose seconds over poor quality anything. While The Racha’s affiliation with Small Luxury Hotels of the World guarantees a luxurious stay, beautiful surroundings and top-notch service, it does not ensure perfect weather. August, unfortunately, sits smack in the middle of a wet season and the weather was wet and gloomy the day we arrived. 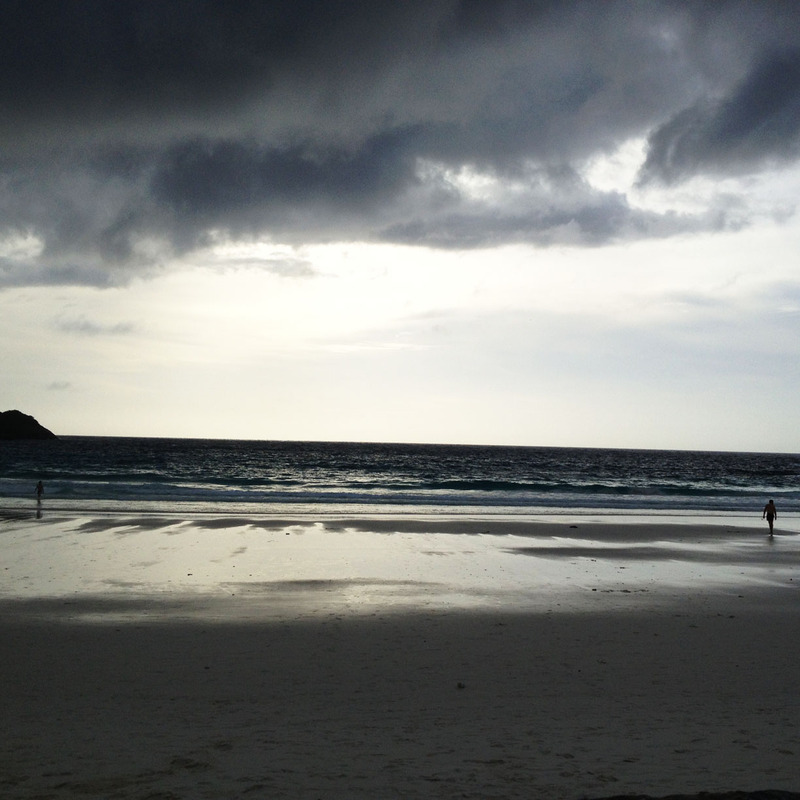 The view of the sea that stretches in front of The Racha was quite despondent and as colourful as a charcoal drawing. Oh well. One cannot do much about Mother Nature’s moods. Fortunately, we had a splendid room at The Racha, and in there we hung out while waiting for the skies to clear. 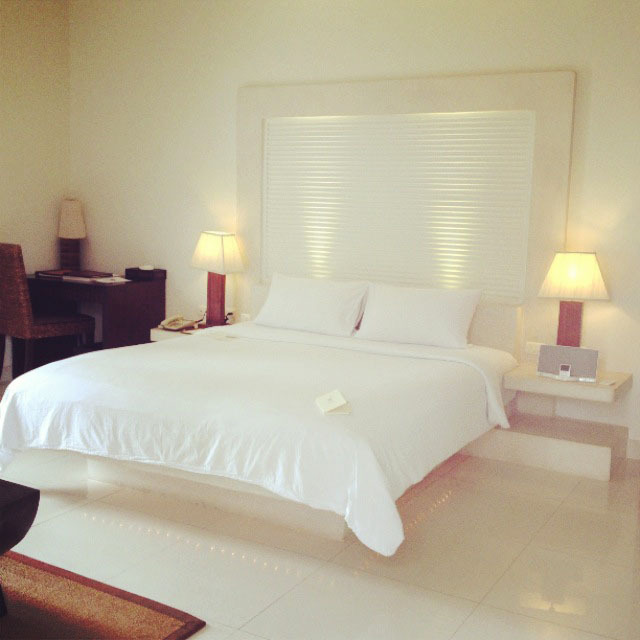 Just like the rest of The Racha, our junior pool suite was a minimalist, predominantly white piece of architecture. 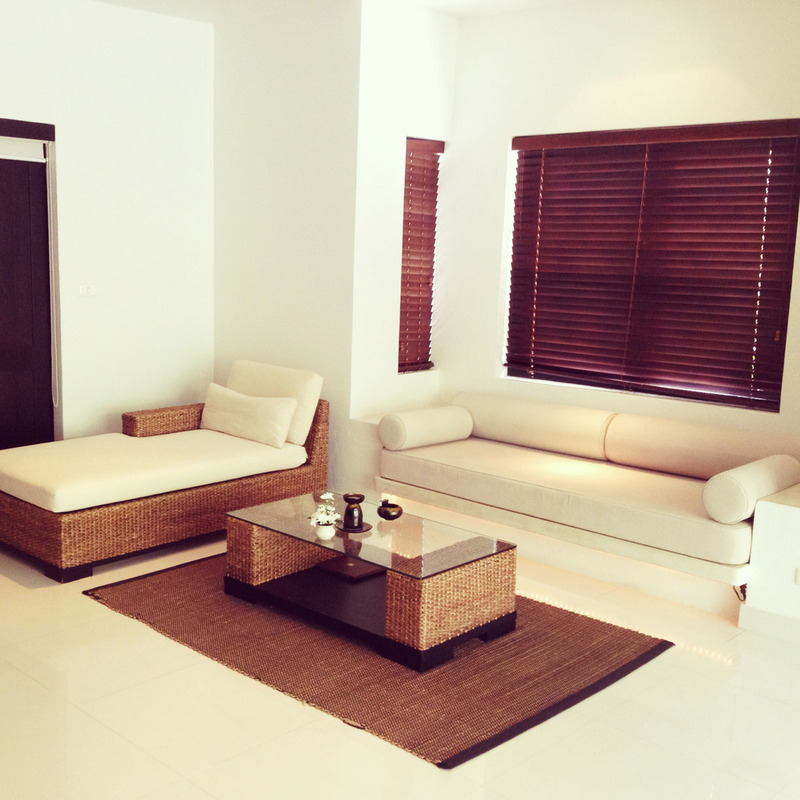 The interior was mostly white too, with pieces of wooden furniture and fixtures. We were provided with an iPod packed with 1,000 songs of various genres, and right away we got some smooth jazz on to set the mood as we explored our luscious abode for the next few nights. The spacious living room proved to be a bliss whenever it rained, as it came equipped with a movie library of 200 latest and all-time-favourite movies and one of the best sound systems. It was a perk too that the minibar was well-stocked with alcoholic and non-alcoholic beverages that were priced really low. 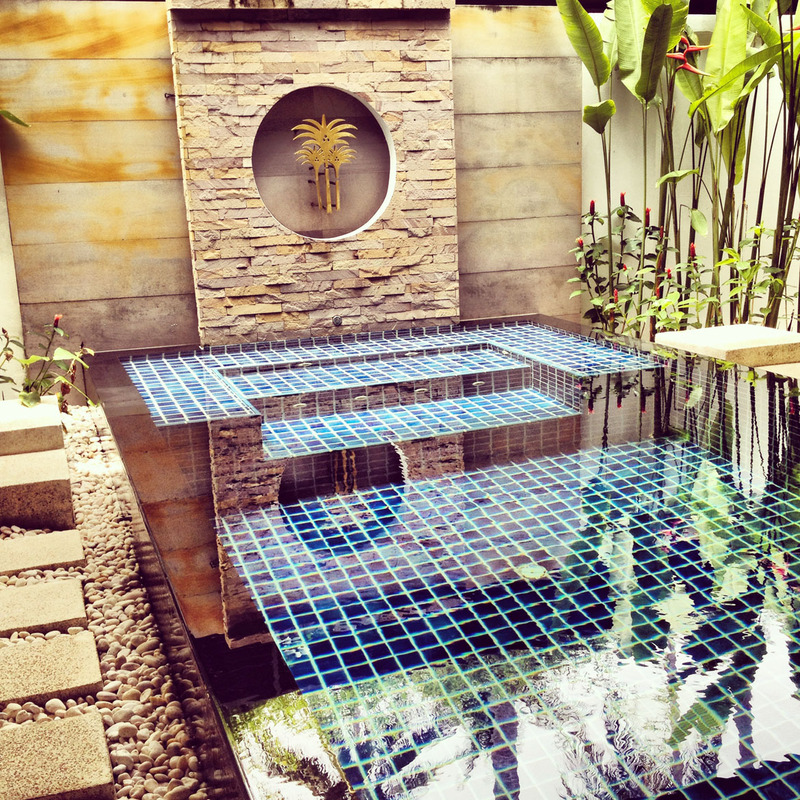 But the star of the junior pool suite was the outdoor Jacuzzi pool which came shielded from prying eyes with high walls and swaying coconut trees. It was in this glorious pool that we hung out most of our time at the resort. Did I already say that The Racha is a beautiful piece of architecture? I have a particular soft spot for minimalist, stark white designs. Properties like that must invest in maintenance otherwise age will show up very brutally. The owner of The Racha must know that very well indeed, because he has been able to keep his nine-year-old (so I was told) resort looking fresh and clean as a daisy on a clear summer’s day. 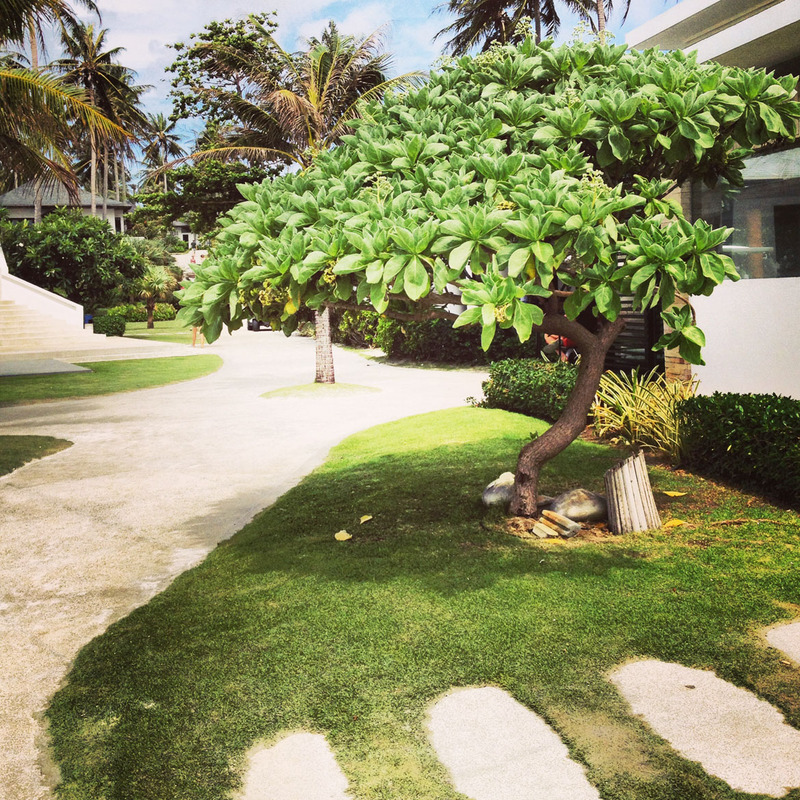 I love the lush landscaping of the resort too, and white, winding paths. Such a beautiful contrast. And during those hours we would go on an ATV trail up and down bumpy tracks deep into the island, and up the hills to get some of the best views of the surroundings. We discovered serene bays and vantage views from high up in the hills. The activity was so fun we did it twice on consecutive afternoons. We also found time to laze on a hammock by the sea on a quieter afternoon – you have no idea how noisy the beach was with the holidaying crowds. It was unavoidable since the beach right in front of the resort was opened to the public. And while the husband went diving, I sought out comforts at the spa. 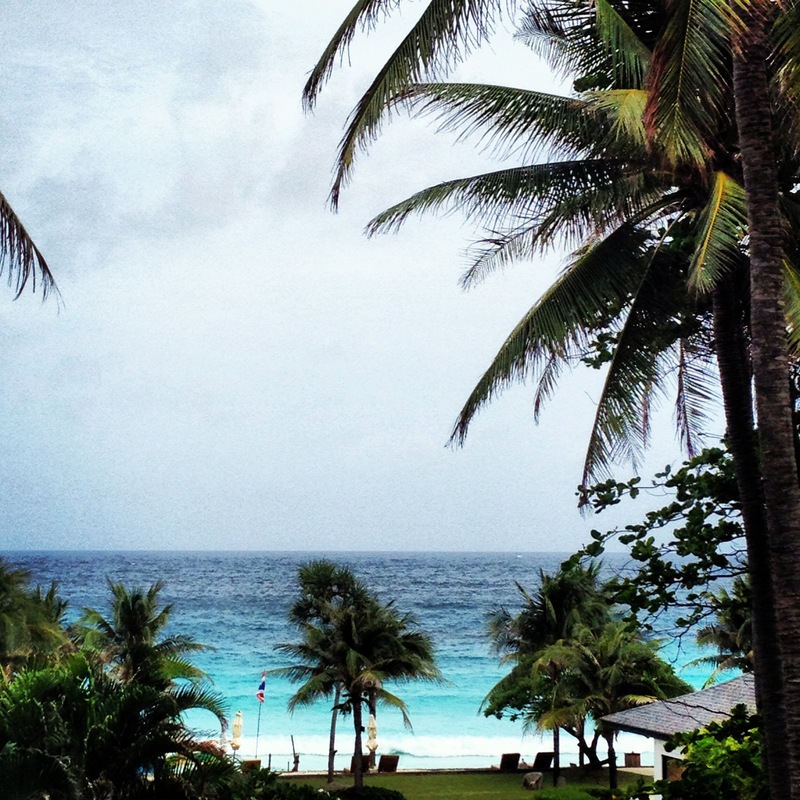 In all, The Racha gave us plenty of happy memories, and we will definitely be heading back its way when time permits.